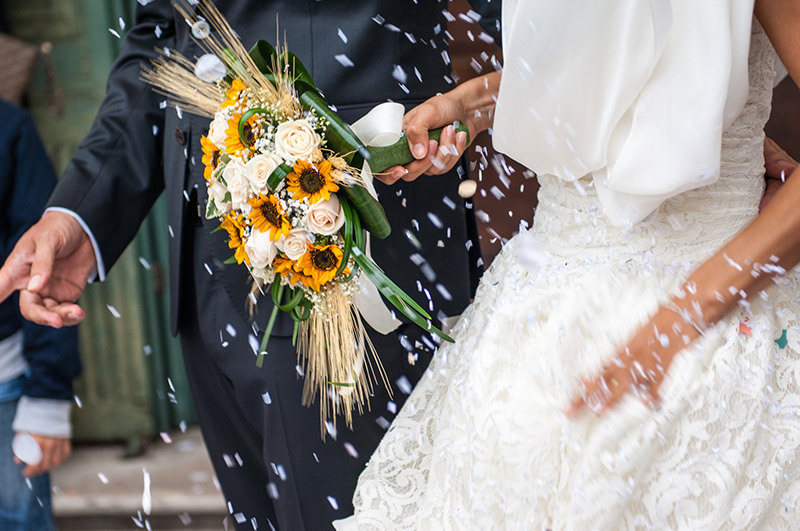 Canadian Wildlife Federation: Can I Toss Rice at My Wedding or Will it Hurt the Birds? A. Turns out you can! That’s right – the whole idea about not throwing rice at weddings because it will swell in the stomachs of birds that eat it causing the birds to either choke to death or explode – just isn’t true! In fact, lots of birds eat uncooked rice in the wild such as bobolinks and waterfowl. But, if you’re like me, you might be wondering about different kinds of rice – like instant rice for example. A biology class at the University of Kentucky had similar thoughts. They undertook several experiments using three varieties of white rice (arborio, basmati and jasmine), four varieties of brown rice (long-grained, medium-grained, short-grained and sweet) and five rice products (cream of rice, designer wedding rice, instant white rice, instant brown rice and puffed rice cereals) to see if this was actually a myth or if there was some truth to it. It turns out that even though instant brown and instant white rice have the greatest capacity to expand, this does not impact birds. With the lab experiments complete, they took their next and final experiment to their professor’s aviary where pigeons, Ringneck Doves (approximate size of wild Mourning Doves) and Diamond Doves (the size of canaries) were fed only instant white rice and water. These birds showed no signs of distress. They didn’t choke, regurgitate or die – helping to prove that birds will not die from eating rice thrown at weddings! So go ahead and enjoy your big day!